GETDP: Successful business = Courageous decision. 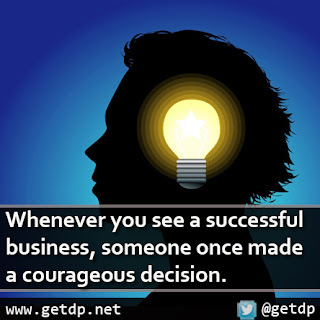 Successful business = Courageous decision. Often in life people tend to be scared of taking risk, but if you don't attempt the impossible you can't achieve the impossible.